Ironically, to be announced tomorrow, but somehow all over the internet tonight is that Marvel has signed with Gazillion Entertainment to produce Marvel licensed MMO's for the next ten years. 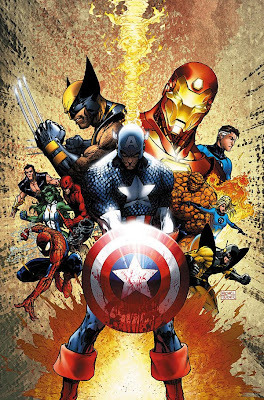 Wall Street Journal made the announcement this evening stating all Marvel characters are part of this deal but will in no way affect games currently in production including licensed heroes, such as Marvel Ultimate Alliance 2. The first of the decade of MMO's is set to release next year as a comeback to the Sony exclusive, DC Universe Online. Now, if we all remember, there was a game similar to be released which included the mashing of MMO and Marvel licensed characters that just disappeared from the radar. Well, here is to hoping that this is a success for the mysterious publisher, and that we still get Marvel vs. Capcom 2. Keep your eyes pealed for tomorrows announcement.